The Maldives government’s intimidation of the political opposition and media threatens prospects for free and fair elections in September 2018, Human Rights Watch said in a report released today. The government of this Indian Ocean archipelago has also interfered with the judiciary and the national electoral commission in order to tighten its grip on power. The 52-page report, “‘An All-Out Assault on Democracy’: Crushing Dissent in the Maldives,” documents how the government of President Abdulla Yameen Abdul Gayoom has used decrees and broad, vaguely worded laws to silence dissent and intimidate, arbitrarily arrest, and imprison critics. These include counterterrorism laws widely used against opposition activists and politicians; anti-defamation laws used against the media and social media activists; and restrictions on assembly that prevent peaceful rallies and protests. Religious extremists and criminal gangs – including many that enjoy political protection – have assaulted and sometimes murdered dissenters with impunity. This has had crippling effects on the Maldives’ nascent democracy and struggling civil society. The Observatory for the Protection of Human Rights Defenders, an FIDH-OMCT partnership, in collaboration with the Paris Bar and Human Rights Centre “Viasna”, today released a report documenting restrictions on the independence of lawyers in Belarus. Based on an investigation conducted in January 2018, the report criticises the executive power’s stranglehold on the capacity of lawyers defending cases which the authorities consider to be ‘sensitive’ to practise their profession. In Belarus, lawyers defending cases considered by the authorities to be ‘troublesome’ are generally exposed to retaliatory measures which can culminate in their expulsion, against a background of changes to the legal framework that have gradually placed Belarusian bars, and lawyers themselves, under the direct authority of the Ministry of Justice. Such retaliatory measures are often initiated following repression by the authorities of large-scale protests, as in 2010 and 2017. In the course of the past few years, the bars have been stripped of their primary function, which is to guarantee independence and ensure the regulation of the profession. Access to the profession and its organisation now fall under the almost exclusive competence of civil servants in the Ministry of Justice. “It’s very difficult trying to hide where I’m going from my kids, and trying to make my mom feel that everything will be fine – with them knowing I’m lying,” Egyptian human rights lawyer Mohamed Zaree, looking visibly tense, told a TV reporter on May 23, 2017, one day prior to his court hearing in Cairo. The authorities have alleged that Zaree represents a security threat and that he has tarnished his country’s reputation. The following day, Zaree was released on bail. But the charges against him have not been dropped. During his time as the Egypt office director of the Cairo Institute for Human Rights Studies, Mohamed Zaree co-authored a 2014 report on the country’s human rights situation. UN member states are expected to regularly produce such “Universal Periodic Reviews” and submit them to the United Nations Human Rights Council to help assess human rights situations in each country. 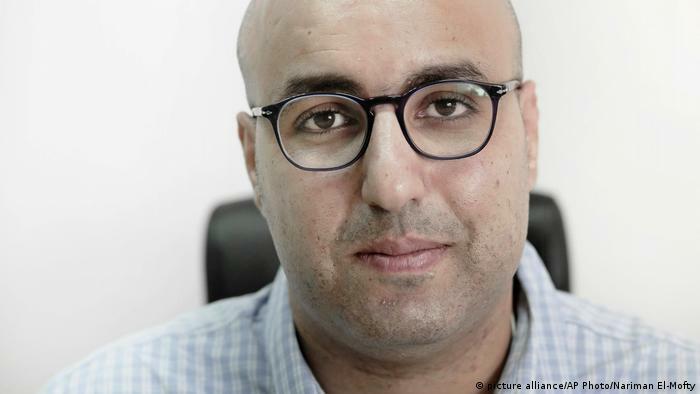 This year, Mohamed Zaree won the Martin Ennals Award — a prize that is sometimes referred to as the “Nobel Prize for human rights”. On August 15, 2017 yet another lawyer was killed in the Philippines. This makes 10 since Rodrigo Duterte began his term of office as President on July 1, 2016. The International Association of Peoples’ Lawyers has been monitoring killings, and other attacks, on lawyers in the Philippines as well as countries around the globe. We presently list 115 countries where there have been credible reports of attacks on lawyers in recent years. In the Philippines the number of lawyers killed since January 1999 is about 130. President Duterte came to the Presidency with a substantial vote (about 40%) in a large field of candidates. He was a surprise winner as he had no experience as a national political figure and, in the manner of the winner of the recent USA Presidential election, Donald Trump, campaigned on a populist program that included a strong focus on law and order. Duterte promised to reduce crime and corruption, and to eliminate the drug problem in the country in his first six months. That goal eluded him so he asked for another six months to complete the job. That extension expired with the war on drugs raging. Recently he has admitted he cannot finish the job in his six-year term, but assured the people that it would “ruthlessly” continue to the end of his tenure. Despite his failure on the drugs front, Duterte claims, on the basis of statistics from the Philippine National Police indicating that the crime rate is trending down, that his promise to make the people feel safe on the streets again has been fulfilled. Whether the police statistics are accurate and comprehensive, and how to interpret them is beyond the scope of this preliminary report. To answer the questions that arise from those statistics would, at the least, require an investigation into citizen willingness to report crime (and other issues about crime statistics well known to criminologists) given the fear of reprisals from corrupt police and “vigilantes” in the context of the “drug war”. According to Dean Chel Diokno of Manila’s La Salle University Law School, that war has taken the lives of an estimated 10-12 thousand victims, most of whom were executed because they were suspected of being a drug user or pusher. International NGO Human Rights Watch has reiterated its condemnation of the Israeli military court system, amid the ongoing trial of two Palestinian human rights defenders facing charges related to their activism. Issa Amro, founder of the Hebron-based group Youth Against Settlements, and Hebron-based lawyer Farid al-Atrash, who is the head of the southern division of Palestinian statutory watchdog Independent Commission of Human Rights, were both arrested for participating in a peaceful protest in February 2016. The march in question commemorated the 22 years since extremist American-born Israeli settler Baruch Goldstein opened fire on Muslim Palestinian worshipers, killing 29 and injuring more than 120 in Hebron’s Ibrahimi Mosque in 1994. The demonstration also called for the reopening of al-Shuhada street, which was shut down soon after the massacre, and called for the removal of discriminatory restrictions on movement placed on Palestinians in the city. Al-Atrash has vehemently denied charges claiming he attacked Israeli soldiers, with video footage of the arrest showing him standing and holding a poster peacefully in front of Israeli soldiers when he was pushed, dragged, and then violently arrested by a number of soldiers.